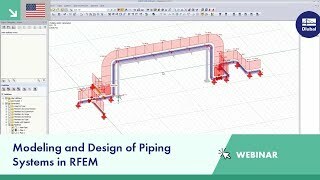 Continuous pipe sections are defined as sets of pipelines. 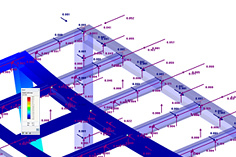 For piping loads, member loads are assigned to the respective load cases. 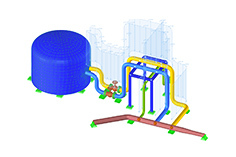 The combination of loads is included in piping load combinations and result combinations. 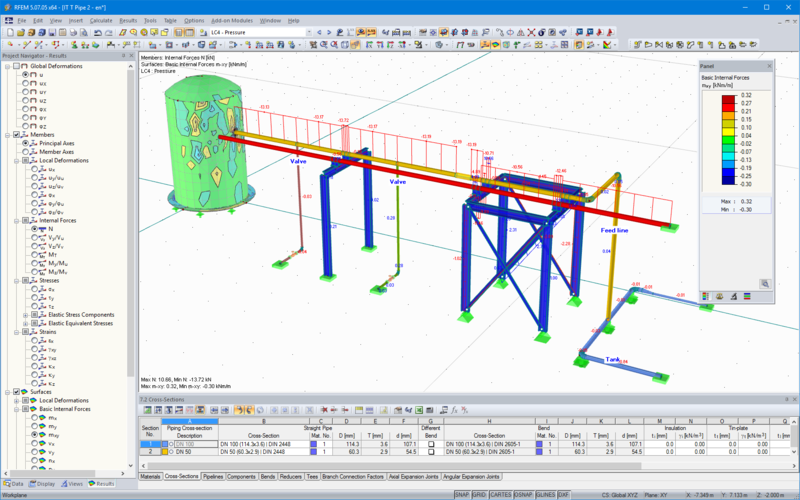 After the calculation, you can display deformations, member internal forces and support forces graphically or in tables. 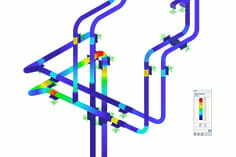 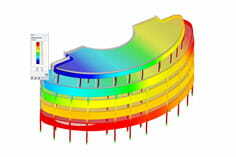 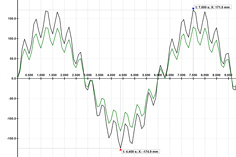 Pipe stress analysis according to standards can then be performed in the RF‑PIPING Design add‑on module. 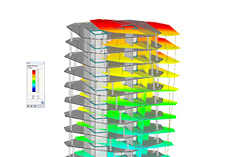 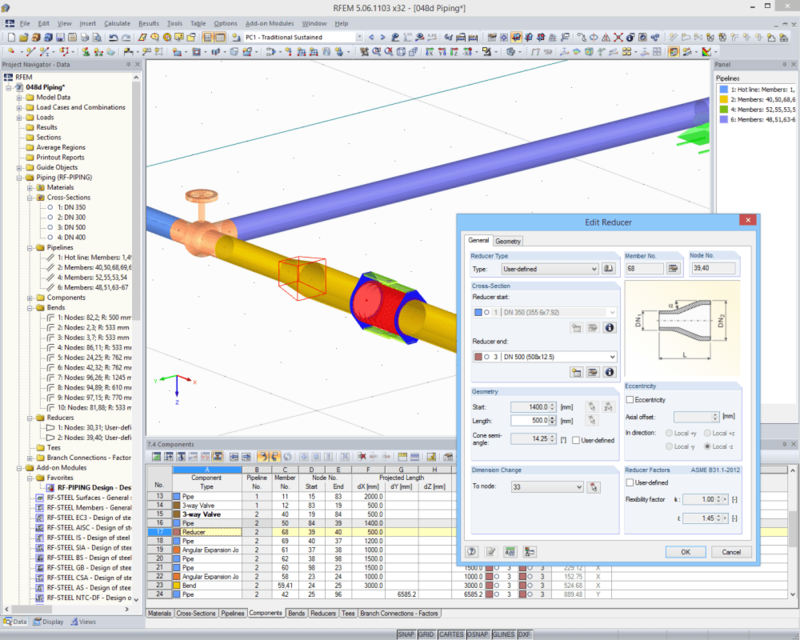 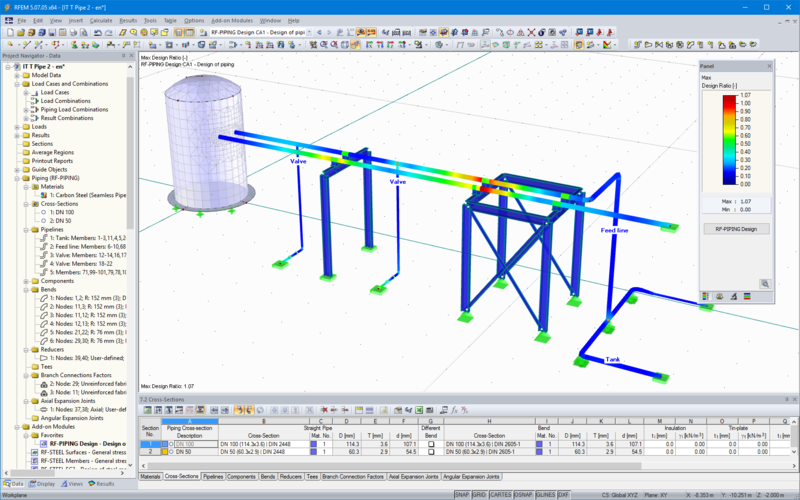 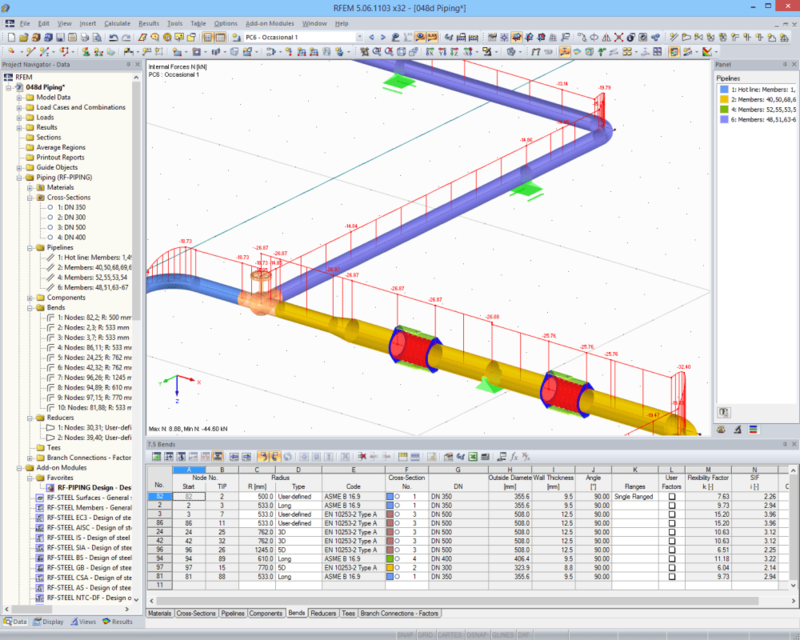 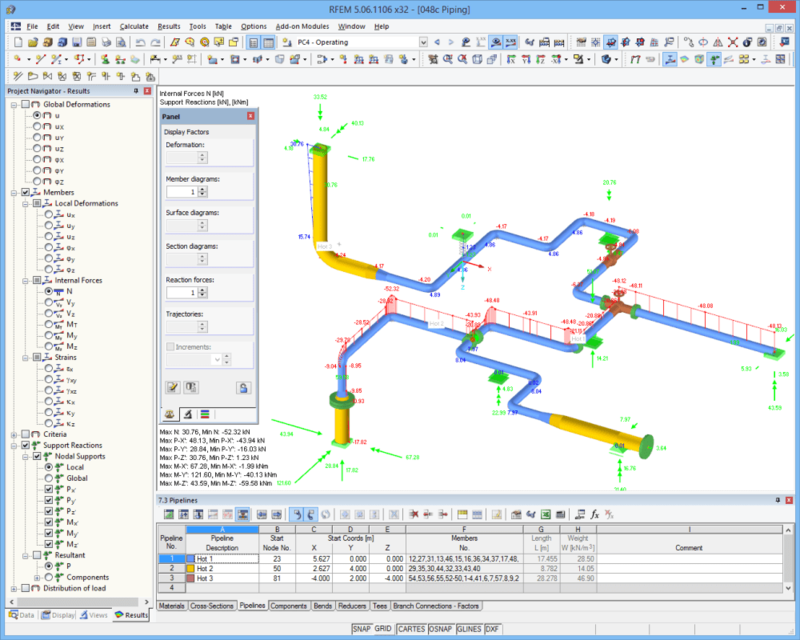 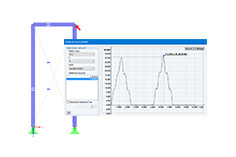 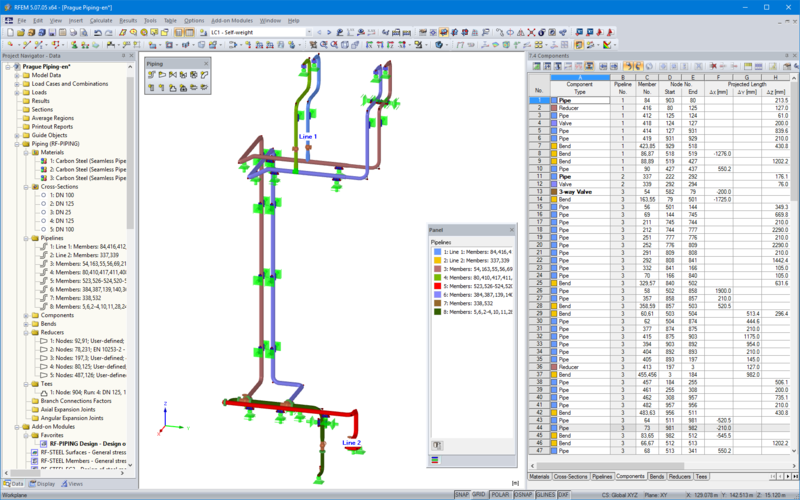 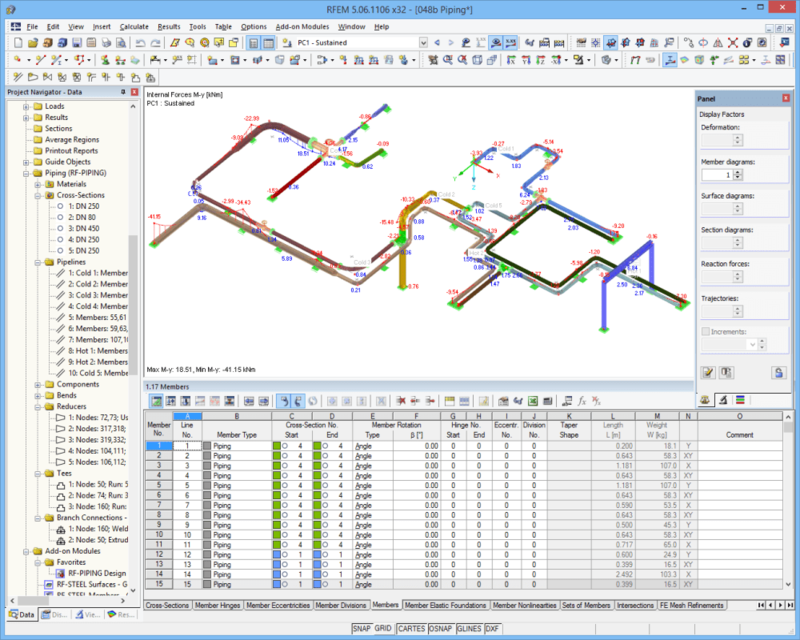 You only need to select the relevant sets of pipelines and load situations.